the halifax customization. 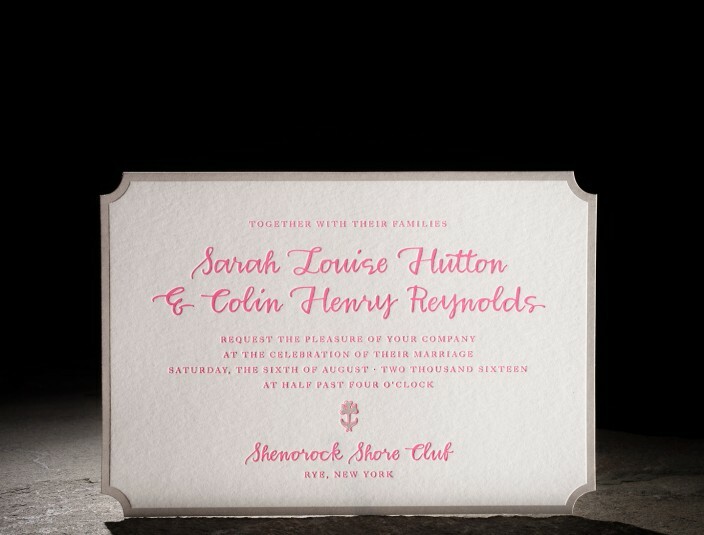 belmont die-cut invitations. neon pink letterpress printing. harrison — an exclusive smock calligraphy font. 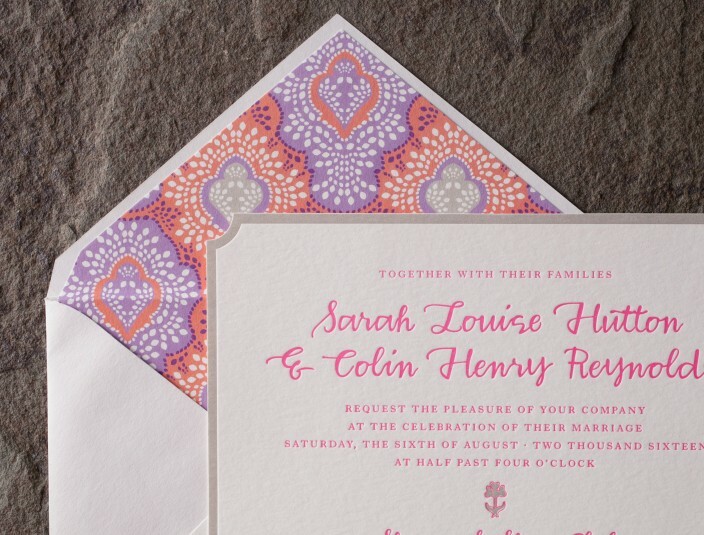 colorful patterned envelope liners.